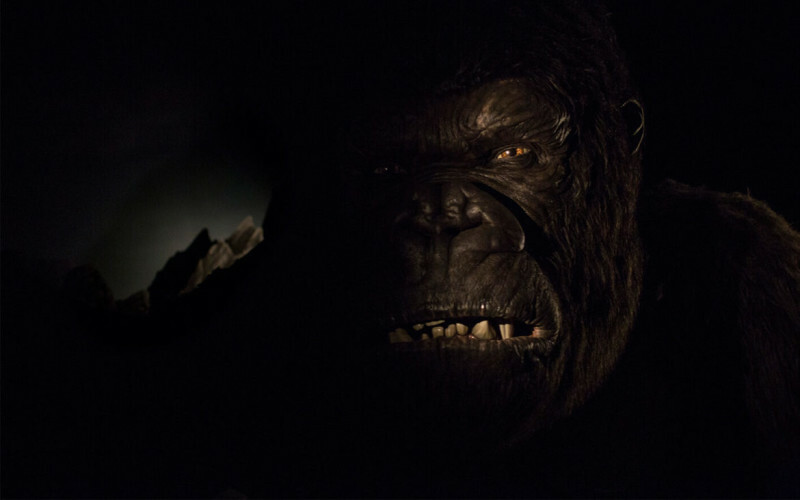 The debut of Islands of Adventure’s newest attraction is swiftly approaching, and Universal Orlando is making fans quake with anticipation by unveiling the first footage of Skull Island’s impressive King Kong animatronic. 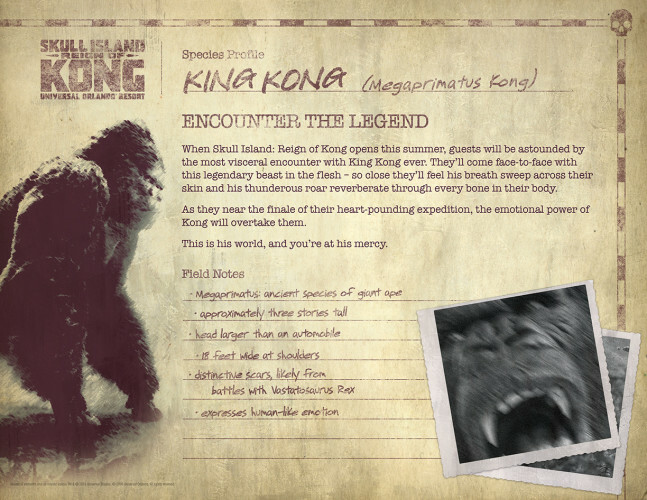 In addition, Universal Orlando’s official blog has posted some new statistics on Kong, showing that the monkey monarch will measure nearly 30 feet tall and 18 feet wide. Soft-openings (or technical rehearsals) at Skull Island: Reign of Kong could commence in the next few weeks, so keep an eye here for more information on the new attraction as it becomes available. In the meantime, check out our previous reports on the vehicles and creatures you’ll soon find inside Skull Island.